Born in Québec City, fiddler-singer-mandolinist-guitarist Claude Méthé has been a part of the traditional music world in Québec for more than thirty years. 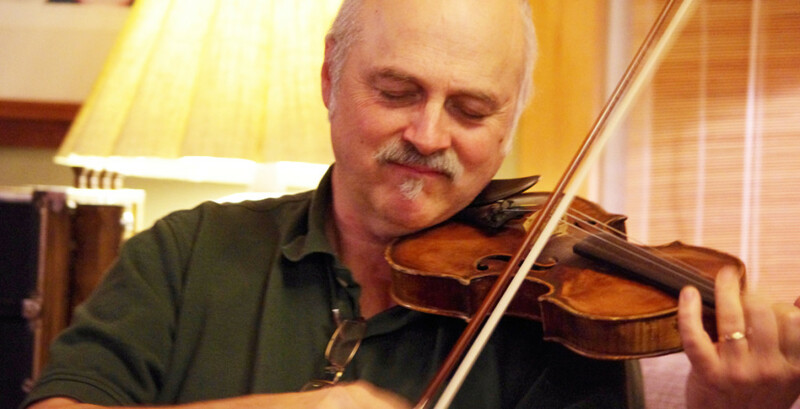 A self-taught fiddler, his style reflects his influences and the eighteen years he lived in the region of Lotbinière, on the south side of the St-Lawrence river not far from Québec City. Claude is a former founding member of the legendary Le Rêve du Diable, winner of a 1983 Felix for Trad Album of the Year, and a group often credited with singlehandedly reviving public interest in traditional Québécois music. Claude is well-known for his work with other trad bands, including Manigance, Ni Sarpe Ni Branche, Entourloupe, Jeter le Pont and Dentdelion). He has played all over Canada, in Europe and the U.S. and appears on at least twelve recordings, including the soundtrack of Oscar-winning film “CRAC” by Frédéric Back (his composition is the theme). Claude’s impressive repertoire of traditional songs contains gems from Manitoba, Ontario, Québec and the maritimes, sung in a voice both textured and sentimental. He is heir to the repertoire of his longtime mentor and friend Aimé Gagnon, who died in 1997. Claude now lives in the tiny village of Ste-Béatrix, in Lanaudière, the heart of what is arguably the hotbed of traditional Québécois music (it is home to La Bottine Souriante, Norouet, Les Charbonniers, Hommage aux Aînés, Festival Mémoire et Racines…). 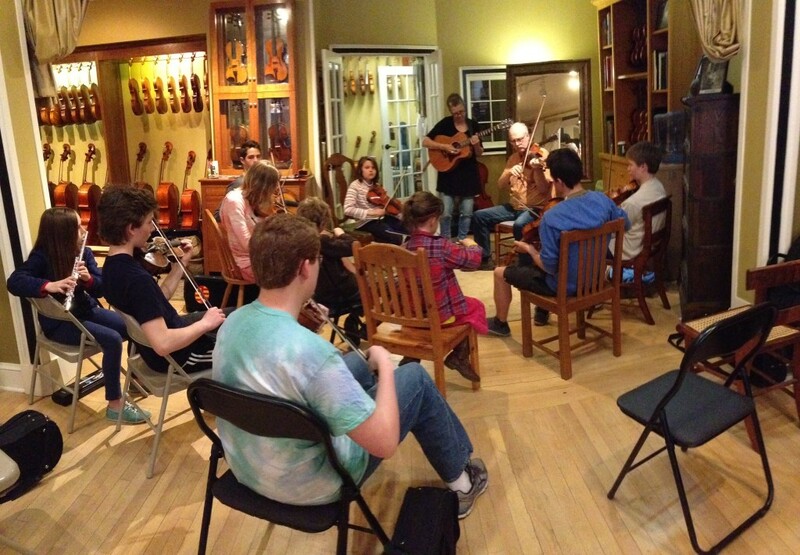 The primary goal of Fiddleheads is the enjoyment of traditional music and playing that music with others. Regular participation is welcome but not required. Other than a $5 donation for rehearsal sessions there is no cost associated with being part of the group. When do sessions start and end? Sessions are usually 2-hours. The first hour is for those who are younger and less experienced, in general. The 2nd hour is for those who older (high school and college age in general) and those who have the experience and skills to go at a faster pace, with more challenging material. Younger players learn easily in the first segment often stay for the 2nd session. What will you learn? One or two tunes are typically taught by a session leader in each hour. If the session is part of series by the same instructor, they may re-visit/re-teach tunes that have been taught previously. Sessions are also used to prepare repertoire for public appearances. The type of tunes learned depends on who the group leader is. Sometimes its music from Quebec, sometimes Ireland, sometimes Scotland….. always from places and sources with an active fiddling tradition. Tunes are taught by ear. Sometimes sheet music is provided by the group leader, but not always. If provided, sheet music and recordings are sent via e-mail after the session is over. All melody instruments welcome, not just fiddles. Fiddlers are usually in the majority at the sessions, but those who play harp, cello, banjo, mandolin, whistle, pipes and others have been involved. Guitar, keyboard and other accompaniment-oriented players are welcome, but the teaching is mostly melody/tune-oriented. When? Most often one Saturday a month, usually late morning in Burlington, early afternoon in West Lebanon. E-mail notices sent in advance of each session. Write to mark.sustic@gmail.com to be put on the mailing list. What to bring? Bring your instrument, a tuning device (if you use one) and a recording device as needed. Recordings of all tunes taught at each session are e-mailed after the session to those who attend. What playing level? The 1st hour is for those who are familiar enough with their instrument to be able to repeat a series of notes played by someone else at a slow pace. The 2nd hour is for those who are comfortable with their instruments and can repeat phrases of music played by someone at a moderate to fast tempo. What does it cost? $5 donation is requested. First timers are welcome to observe without contributing. Checks should be made out to Young Tradition Vermont (or ‘YTV’). If that’s a hardship or you forget to bring money, no one is refused. You can just show up if you want to, but there’s room for only a limited number of participants. It is helpful if you can RSVP with an e-mail to mark.sustic@gmail.com. We also send messages about canceling if there’s not more than 4 or 5 confirmed for a session. Best to let us know if you’re planning on attending. Additional information about Fiddleheads is available on the group’s Facebook page.